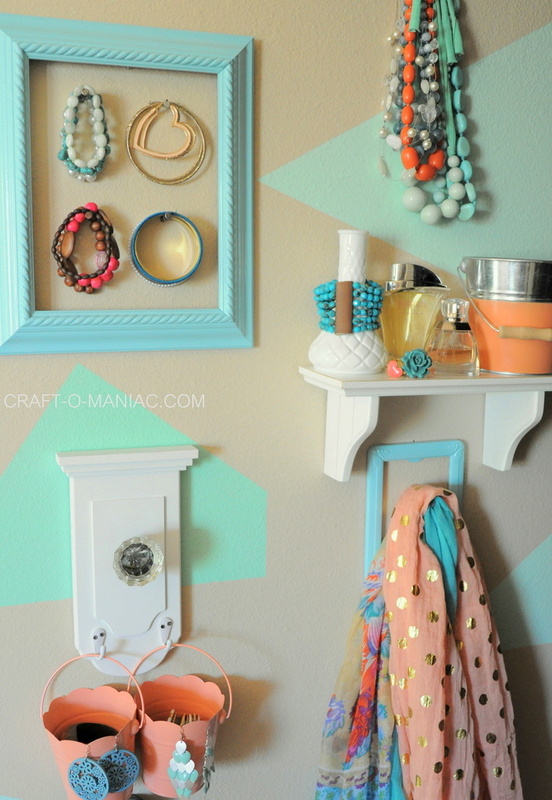 Hello friends, its been to long it seems since my last DIY/Home Decor post, so here I go. 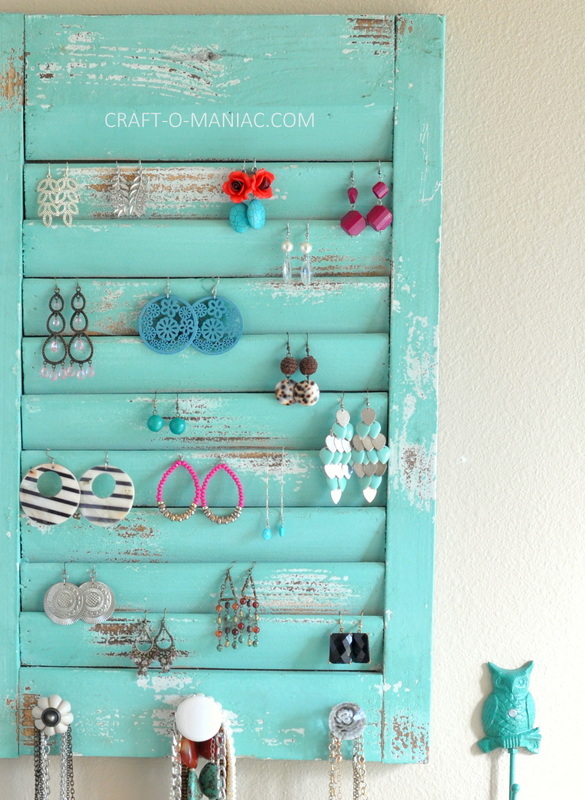 Today I am sharing this fun, colorful, and cute DIY Jewelry Organization Wall. 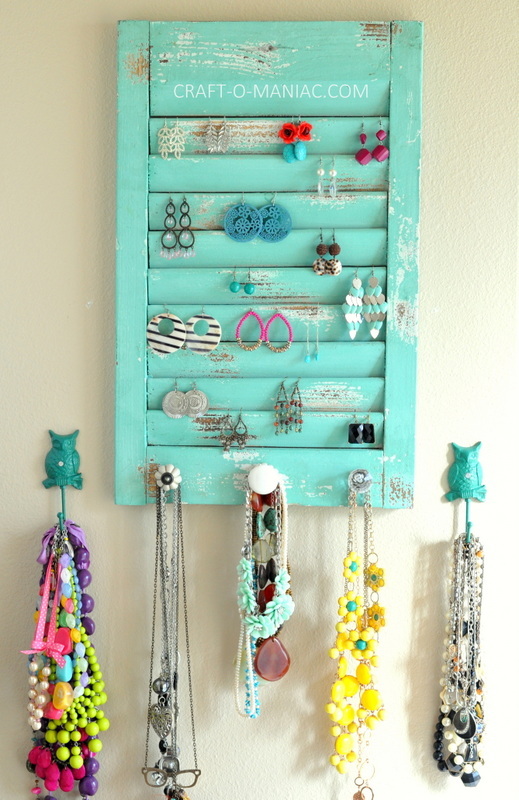 I found this adorable turquoise shutter with knobs at JOANN’S a few weeks ago. It was on clearance too, and it was the only one left GAH! all mine! Do you ever find something that when you see it you sort of do that gasp inside, or the “Oh’ my gosh that’s it!” or “Oh’ my gosh, that’s coming home with me!” well that is exactly what happened when I spotted this beauty. At first I was going to hang it in my kitchen and use it for greeting cards that come in the mail, or to clip special notes, or recipes to it, and then hang up my aprons on the knobs (which would still work and be way cute, should I ever change my mind). 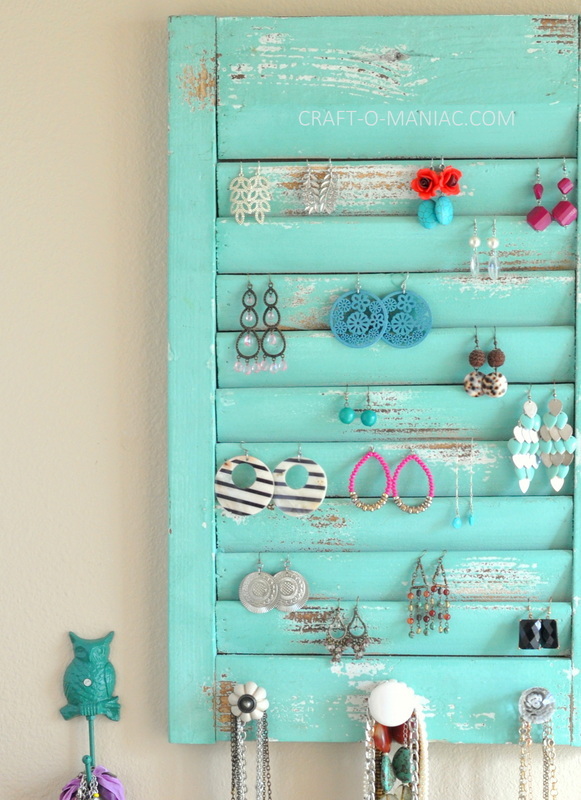 However, then I thought how cute would it be to hang some of my earrings from the shutter and necklaces on the knobs, I new it would make a great DIY jewelry organization wall. I love how it came out, and how fun it is. Plus my 9 year old daughter squealed over it too, she thinks its the cutest thing ever. I found the cast iron owl hooks at a home decor shop in my local town, and I added them to both sides of the knob shutter (because I have to many necklaces, emoji face with big eyes and gritting teeth)! 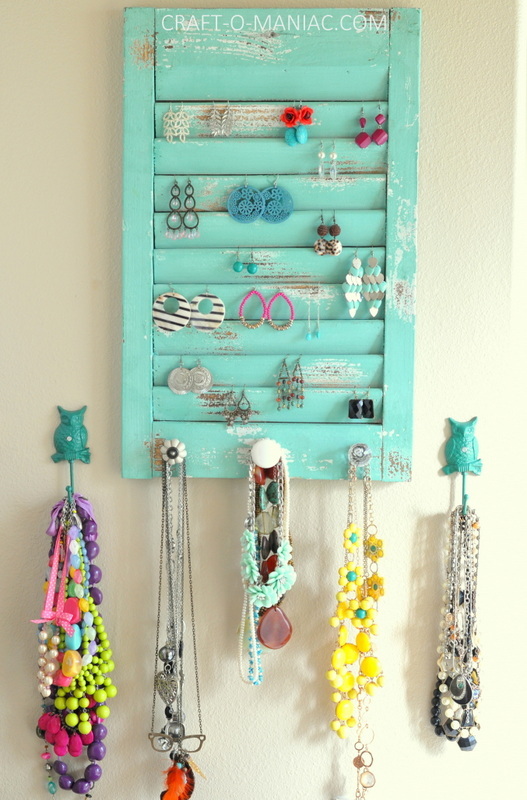 You can also check out these other two links for more jewelry organization ideas. Thank you all for stopping in today. 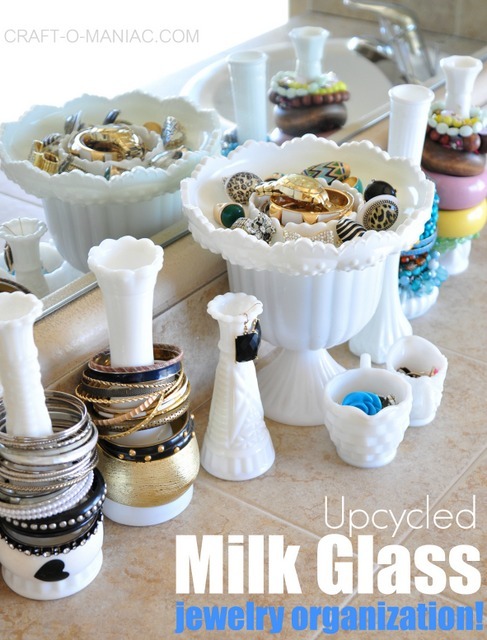 Have fun organizing all you bling and pretty things. WOW I love this! Such a great idea! 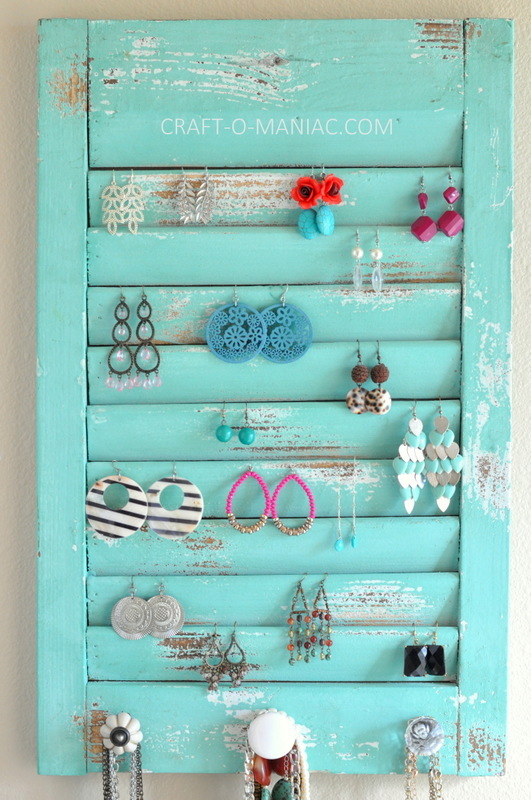 I have done something similar with a screen over a large frame for my earrings but I like this idea so much more! 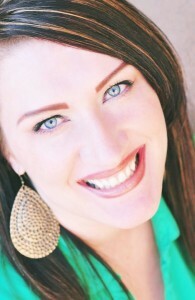 I may have to try to recreate! Thanks for sharing!